I know some people are really into handbags. They have huge collections of handbags, preferably designer, and they coordinate their bag with whatever they’re wearing each day. I don’t. I carry one bag. Occasionally I change handbags when the one I have wears out (This takes years.) or I find one that suits my needs better. I bought my current handbag for two reasons. Like my old one, it looks like a respectable handbag when I need it to, but converts very easily to a backpack, which is useful going to or from work on my bike. I had another one that did that too, but was not big enough to hold my tablet. So I bought this one. I paid something like 160 euros (it was a half-price sale) which was more than I’d ever spent for a bag. I’ll probably use it till it breaks, and given the high quality materials, that’ll take a long time. 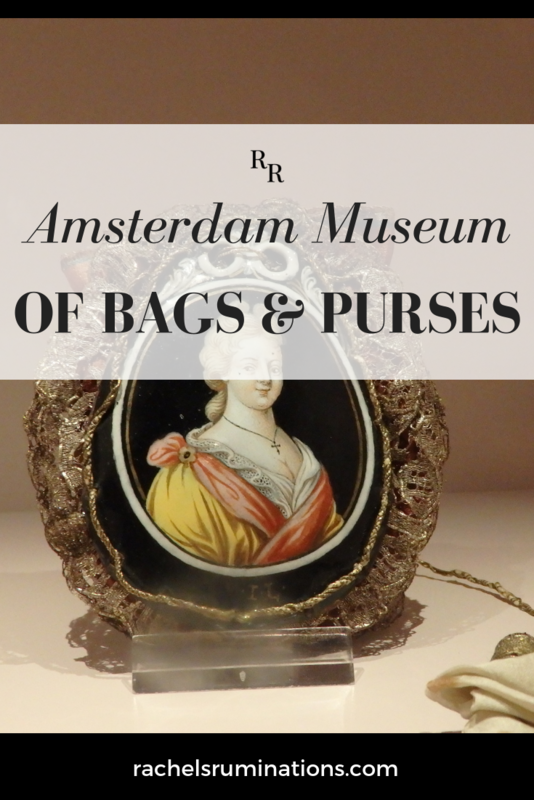 The Amsterdam Museum of Bags and Purses is housed in a lovely 17th century patricians house. 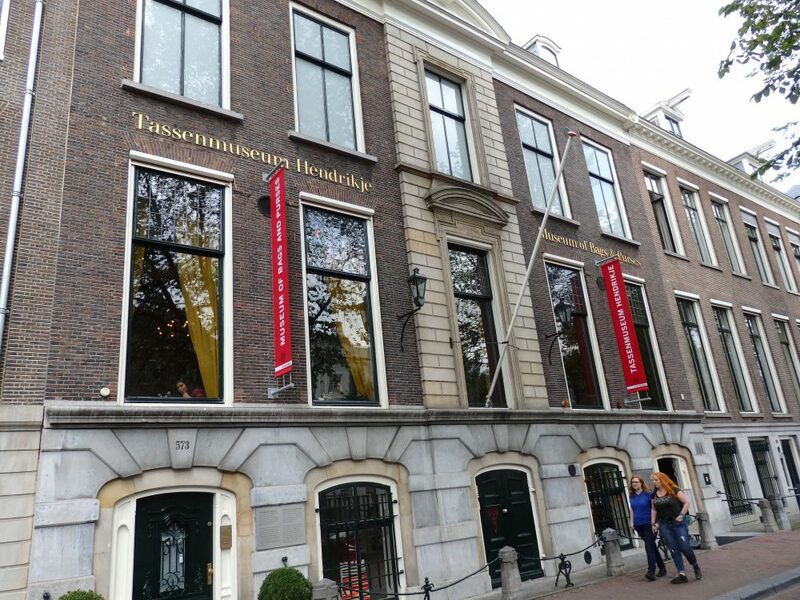 Having said all of that, I thought the Tassenmuseum Hendrikje, the Museum of Bags and Purses, might be worth a look, if only for the ridiculousness of a whole museum devoted to purses. It was indeed ridiculous, in my view. But that wasn’t enough to save me from the boredom of the exhibits. 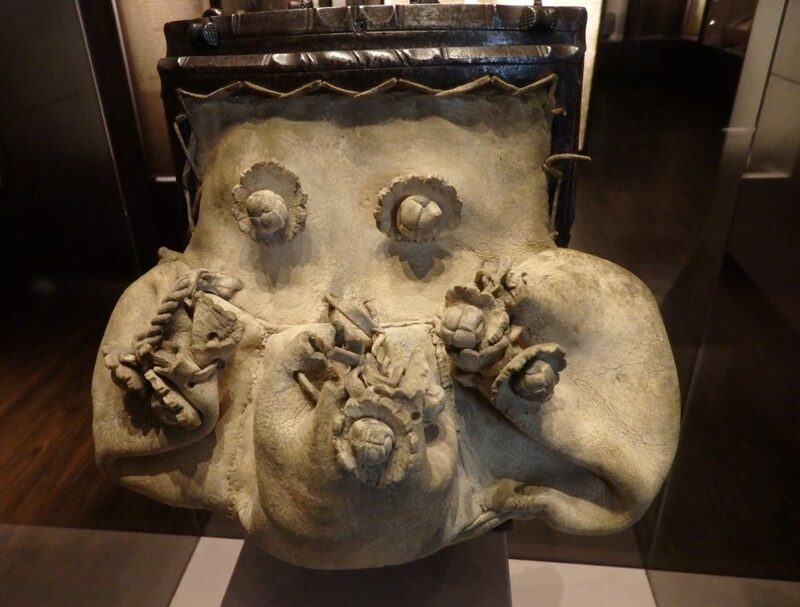 This seriously ugly bag, made from goat’s leather, was worn on the belt and had 18 pockets. It dates to 16th century France. I have to say they were very well-presented: dramatically lit, not too crowded, with signs in both Dutch and English explaining the materials, purposes and so on of the bags on display. I freely admit that many of the bags were very pretty, and some of the historical information was quite interesting, about how bags changed as fashions forced them to change: hip bags, for example, that women wore under very full skirts. Exhibits displayed all sorts of different kinds of bags: leather, beaded, metal, leather, tortoiseshell, ivory and so on. A few display cases contained men’s bags. Some showed accessories of various sorts, as well as wallets and purses, doctor’s bags, school bags and picnic bags, reticules and stocking purses. One section held a special temporary exhibit called “Black and White: the dresscode of a lifetime.” I suspect that the museum staff just plucked whatever bags they had that were black or white or both and moved them to their temporary exhibit rooms. 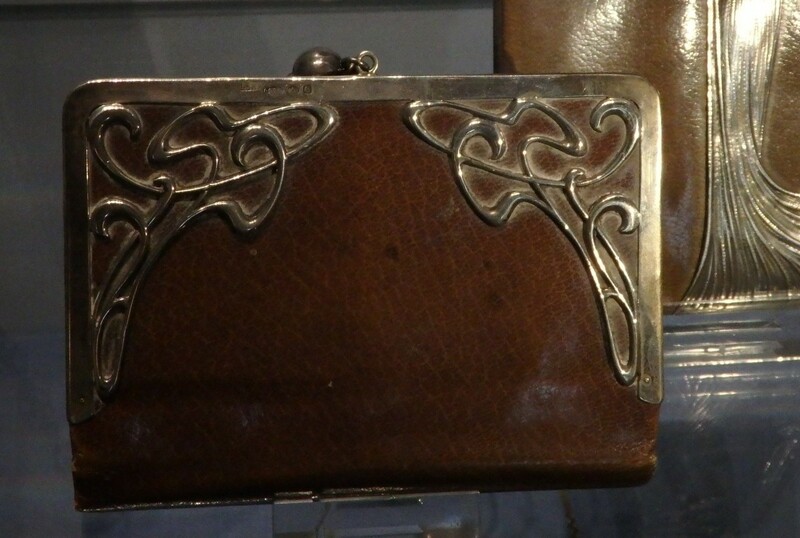 A lot of the bags were very pretty, like this art nouveau clutch. I just got bored, and regretted the €12.50 I’d spent on admission. At the same time, I know that some of my friends would absolutely adore this museum. To me, the best part of the Museum of Bags and Purses was the two period rooms downstairs. 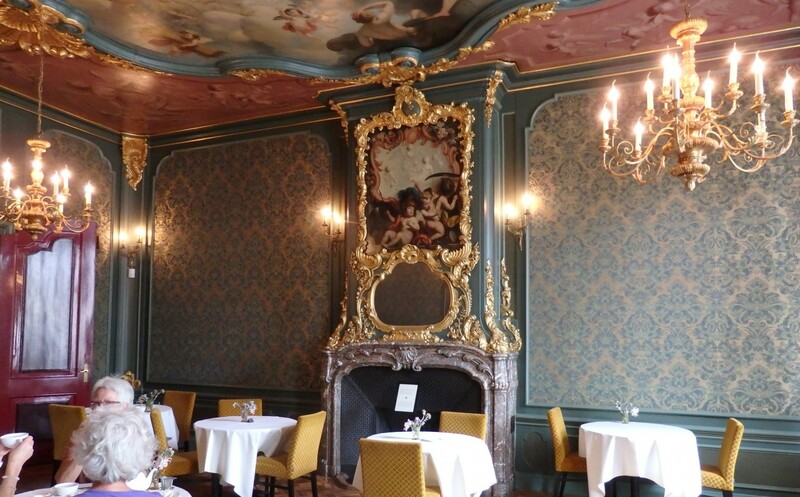 The museum is housed in a lovely 17th century home on the Herengracht, and the period rooms are part of the museum café, so you can stop and have a snack and enjoy the opulent surroundings. It would be a great spot to enjoy a high tea. If you still want to visit the handbag museum, click here to buy tickets! (Disclosure: I will get a small percent of what you spend.) Tickets cost about €12.50 or $15. Address: Herengracht 573 (between Utrechtsestraat and Thorbeckeplein). 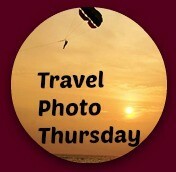 From the central train station, take tram 4 or 9 to Rembrandtplein and walk from there. The nearest metro stop is Waterlooplein. Are you into handbags? If so, please explain why! Sharing is caring! The images below are perfect for Pinterest. I know! But I’d been looking for a bag that converted the way I wanted in the size I wanted for literally years. It’s a Dutch brand called Smaak: very solid, heavy leather. It’s bright green, which I’m sure is why it was on sale. Even full price it would have been cheaper than at the museum! We love museums of all kinds but I think my male counterpart might balk at being dragged into the Tassenmuseum Hendrikje bag and purse museum. I however think I’d really enjoy the historical displays and I have to agree that finding the perfect utilitarian handbag/backpack is worth the price, especially when traveling! It sounds like the period rooms were slightly more interesting than the handbags in the Tassenmuseum Hendrikje. I do enjoy how fashion and necessity influence personal items, so this sounds like fun to me. How many centuries of bags were included? I’m not sure; there were some from the 1600’s and the pre-revolutionary French court, and I think I remember some medieval era accessories (not exactly handbags, but more like keychains). It’s all a bit of a blur, to be honest! It was occasionally interesting where it explained why a particular style of bag was shaped the way it was, like those hip bags I mentioned. Very cool! There is a handbag museum in Little Rock that we visited one time. Not quite as opulent as this, but worth a look. I also carry just one handbag and rarely change it out. Mine is a cross-body model. I paid more for it than I have ever paid before–because it is a designer bag–but I do love it and it looks like it will last a long, long time. I will heed your advice and save my admission money to this museum and instead go for tea! Love the look of that tea room. The cross-body kind or shoulder kind give me back and neck aches after a while. That’s why I like a convertible one rather than a backpack. I need it to look like a handbag sometimes but mostly I carry it on my back. ‘Love the post! I’m more a shoe person but I can understand why you paid so much for your handbag. The little red handbag that I carry around is probably that price. It’s leather and from a little designer. My husband bought it for me so I’m quite alright with it LOL! I’m very much into museums especially quirky ones or museums that have a little more insight into the way people used to live. 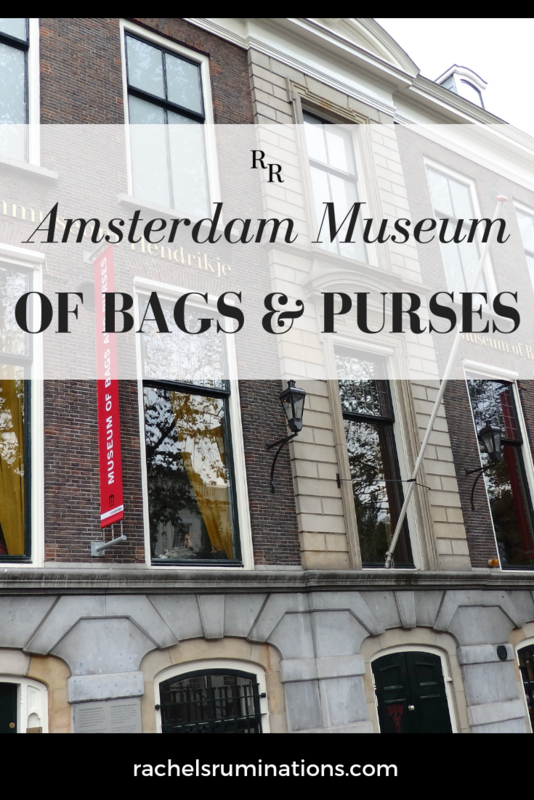 I happened to be in Amsterdam at the beginning of the year and I had planned to visit the Museum of Bags and Purses as I had the Amsterdam City Card , but I ran out of time! I did however, managed to visit the Cheese Inn Museum, The House of Bols Cocktails & Genever Experience, The Van Gogh Museum and Micropia (a museum about miocrobes and germs and the 1st of it’s kind in the world). Disturbing, but absolutely fantastic! My plan is to gradually work my way through all the small museums in Amsterdam, so whenever I go there I visit one or more. The only one of those you list that I’ve been to is the van Gogh, but that one doesn’t fit my definition of small! The Cheese Inn Museum, the House of Bols and Micropia are all on the list to visit at some point. I have two more posts (the Hash, Marijuana and Hemp Museum and the Prostitution Museum) coming up in the next couple weeks. And I’m hoping to fit in one or two more when I’m in Amsterdam again mid-November. As you know, I can’t wait to get to this museum this spring! But I’m in it for the art, craftsmanship, and history. I imagine in being like the Bata shoe museums, but perhaps I will be disappointed. Personally, I have no clue why people would spend a fortune for an expensive designer bag when there are so many options. I have dozens of clutches, purses, and bags from Thailand, Italy, Turkey, Peru, Fiji, and other exotic spots we’ve visited; handmade bags made by artists in the USA; antique and vintage pieces; and a bunch of cheap ones from the discount department store sale rack. Even my Italian bags (mostly bought on sale at small shops in front of the workshop where they were made) weren’t over a $100. My most expensive bag cost about what your’s did (but full price, not on sale) and is a totally boring backpack bag made out of modern fabric by a workshop in New York state. Like your bag, I bought it purely for it’s functionality because a smaller one by them was a favorite, but too small for camera gear. It does what it needs to, but I don’t love it the way I did the smaller (cheaper) one. (They didn’t up-size the design properly.) It sort of serves as a reminder not to spend a so much on a bag because I never know if I’ll love it until I actually start using it! But then again, my second most expensive bag is a rather geometric purse built out of handwoven fabric from Thailand and, while it’s a bit fragile for daily use, is a stunner and I love using it! This is a museum that people seem to love or hate. I’m in the latter category, but I hope you enjoy it!